Yung Lean - Unknown Memory. Vinyl LP. Bleep. Yung Lean, aka Swedish teen upstart Jonatan Leandoer Hastad, drops his debut full-length, moving from his own Sad Boys Entertainment label to Hippos In Tanks for this vinyl release. 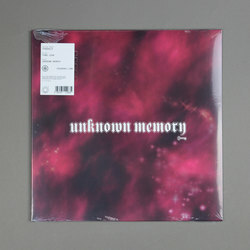 More than just a curiosity, Unknown Memory features the languid, lazy flow and emo-rap vocals of this young rapper alongside emo-trap beats that shake and snap but hint at delicacy rather than aggression. Electronic horns fall against the muted trap of standout Yoshi City, which is bolstered by his emotive cries that he's a "lonely cloud".